Marty Lescht ASID and AIA (PA) of Lescht and Associates, is an Interior Architect and Designer based out of Chicago but known nationwide for his almost 40 year resume, touting such greats as Lettuce Entertain You Enterprises (Hub 51, Tru, Everest) to luxury hotels and the restoration of the Wrigley Building. 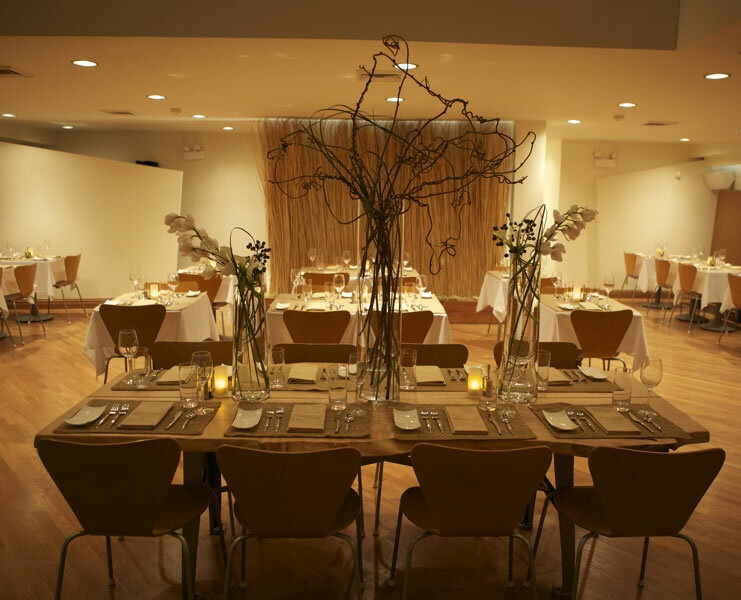 Marty often pairs with Lightology for his projects, most recently to design Karyn’s On Green, an all-vegan restaurant looking for a design to match its chic, eco-friendly menu. What was your vision for the space? Because we live in Chicago and it’s dark so much of the year, and I wanted to create a feeling more like Malibu or Santa Monica — very cool and natural, with an outdoor feeling. 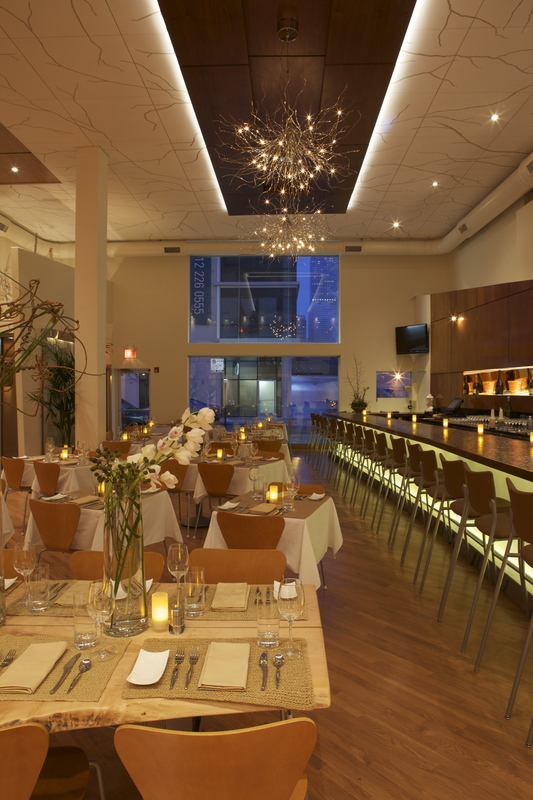 When you walk into Karyn’s On Green, you get the feeling that the food and the experience will be fresh and clean. I create unique, interesting designs, but I like working with neutrals and am influenced by nature. This way, the people and the food really get to be the star and enhance the ambiance of the restaurant. How do you incorporate lighting into your designs? I don’t incorporate lighting; it is the main factor in my projects. I could spend a million dollars on a project and if it’s not lit properly — it’s a waste. Dimming is incredibly important so you can change lighting effects from day to night, seasonally, etc. And for this project, all the lighting is eco-friendly, to coordinate with the all-vegan menu. Thanks for the marvelous posting! I truly enjoyed reading it, you might be a great author.I will make certain to bookmark your blog and definitely will come back at some point. I want to encourage you to ultimately continue your great work, have a nice evening!